Six years ago, I didn’t drink coffee. If I recall correctly, it was Robert Nyman who insisted I have a latte when I told him I didn’t drink coffee. It was likely a year or two after that before I had another. It’s only been in the last three years or so that I’ve drank lattes (and cappuccinos and espressos) with any regularity. 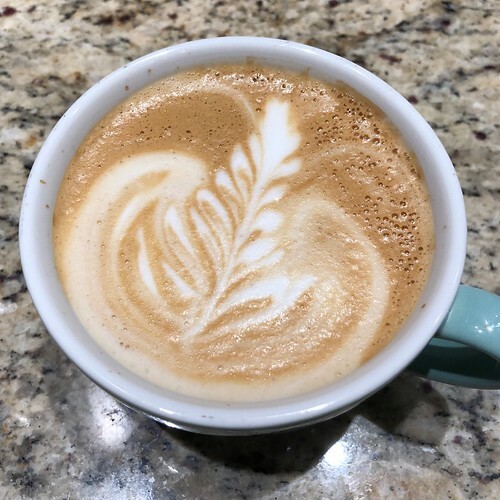 As I’ve dived into the world of espresso making, I’ve learned a lot (but still have a lot to learn) about what makes a good espresso. If I’m at some cafe or restaurant where I can see them making my drink, I’ll usually have a good idea of whether it’ll be good or not just by looking at the timing. Did it come out too quickly? Did it take too long? Now I’m learning about brew ratios. I currently use about 15g of grind which gives me about 40g of espresso. Anytime I try a new bean, I play around with the grind to get back to that 15g, which should give me that 40g of espresso. A 1:2.5 ratio. A normale. I’ve been pondering playing with a ristretto (1:1) or a lungo (1:3–1:4). The problem is, I haven’t figured out how to make these adjustments without wasting a lot of coffee to get there. I start using less or more ground coffee and suddenly all my timings are off. I’m not getting enough coffee or it’s taking too long. What variables do I need to change? I end up going through a dozen shots or more making a bunch of small changes and might still not have anything that tastes good. I easily waste half a bag to find the right combination. If I’m lucky. If I’m not lucky, I get frustrated and return to what I know. I have beans and a grind and a grind weight that works. And when it works, it’s amazing. I can make a latte for someone and make it look effortless. Everything else is horrible. These small changes highlight how much I still have to learn.